MORTGAGE LENDERS: HOW CAN YOU PREPARE FOR THE FUTURE GOVERNMENT? With so much uncertainty in the run up to the election, it’s no surprise that the demand for borrowing has dropped during the first quarter of 2015. This adds to the pressure already felt by lenders. Changes to regulatory compliance that require more stringent assessment of customers and a need for digital transformation has shackled some lenders’ ability to innovate and address challenges felt by the market. The good news, however, is that the housing sector seems to be a big focus for most parties this election. The Liberal Democrats, Labour and Conservative parties have all highlighted the need to address the challenges first-time buyers face, highlighting policies that will aim to make it easier for young people to get their foot on the property ladder. There are also high targets for the number of houses to be built in the next few years – with the Liberal Democrats aiming for 300,000 new houses built per year. Whilst there is a lot of pressure on the housing sector, there is a real opportunity for lenders to prosper in the next year and beyond. But the future government – whichever party that may be – must take the appropriate actions to ensure that lenders can support an effective housing solution and enable those looking to own homes. 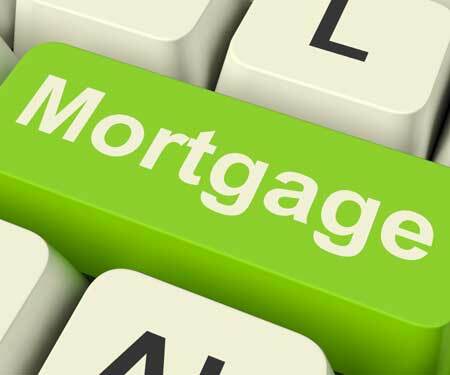 In addition, mortgage companies must prepare now in order to embrace these changes. For lenders to swiftly and cost effective embrace the changes in policy, government, and regulation, technology will be even more fundamental moving forward than it has been in the past.. They must modernise their existing infrastructures and instead, look to invest in more flexible, compliant platforms, for some a Software-as-a-Service (SaaS) based approach could also add real value. It can act as a one-stop shop that supports such things as branch and call centre operations, CRM, data warehousing capabilities, arrears management and full data centre backup and recovery solutions. But most importantly, it can offer companies a clearer, more obvious analysis of their customers, enabling them to be able to adhere to regulation and align themselves with new government policies more easily. Mortgage businesses must also look to megatrends like mobility and social. Tech-savvy customers expect these technologies to be in place for things like customer service, buying products and providing real time insight in to their accounts. But with the industry often failing to modernise their critical-IT technologies, their estates become too complex to maintain, leaving many mortgage companies resisting the arrival of emerging technologies. This only leaves them more open to failing at regulation, losing out to competition and potentially becoming irrelevant to ever increasing tech savvy borrowers. In summary, the mortgage market will always face pressures from customers, regulatory bodies and borrowers. But by taking care of technology, lenders can innovate and adapt to these new and existing challenges in more efficient and productive ways.